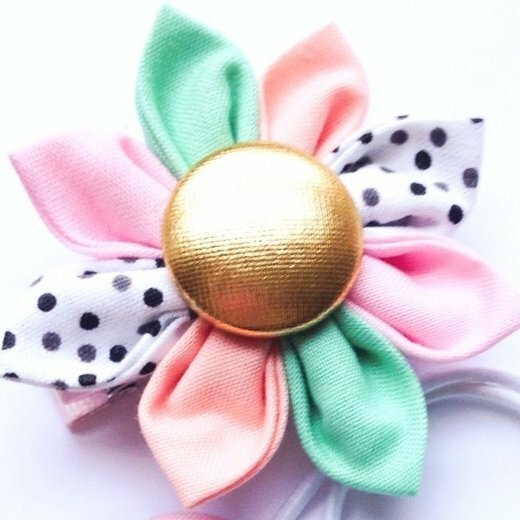 A sweet handmade flower hair clip featuring pastel shades of pink, peach and mint green with a hint of retro black & white spotted fabric. Each flower has 8 hand sewn petals and measures 6 cm in diameter. 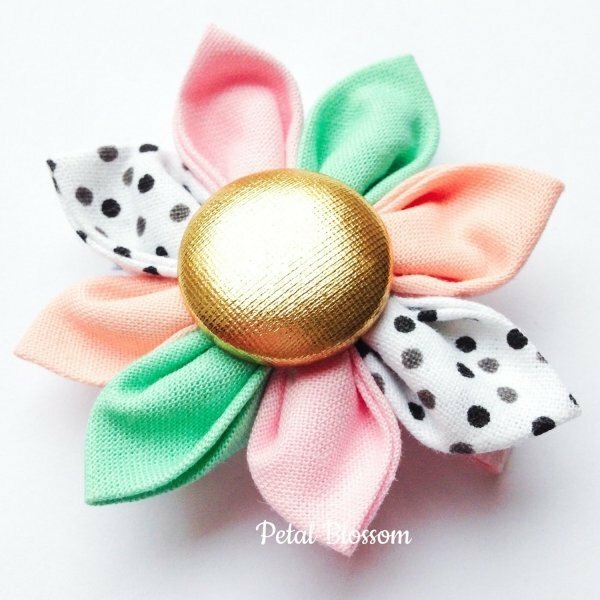 These hair clips a great for any little girls birthday gift or Christmas stocking fillers. Attached to a 4.5cm ribbon lined alligator clip with a non slip grip attatched. *Please supervise young children when wearing headbands and hair clips as they may pose a choking hazard.